Re-examining ‘State of Play’ and looking through others blogs, I realised that a lot of people were unaware of e-sports and were surprised about many of the culture’s aspects, including myself. Before this encounter, I understood the addictive aspect of online gaming but never considered it as an actual competitive sport that was recognised with its own leagues. Watching the documentary opened up curiosities to e-sports and the obsessive, competitive nature. Describing my autoethnographic experience watching State of Play, I was able to link certain Korean cultural aspects that I was aware of and understood due to my own experiences and knowledge about the culture such as training groups, dormitories and the fan culture. South Korea is the leading country in E-sports and as identified here– there is a simple reason for it. I guess you can agree that the strict training systems in Korea that may be surprising to us, in Western cultures can actually be beneficial. This reddit user believes that dorms only brings further improvement by players being surrounded by other pro-gamers and be completely absorbed in gaming. It’s mainly a cultural difference to western cultures where eastern cultures are focused on specialisation- thus the extensive, hardworking schedules apparent in State of Play is somewhat expected out of pro-gamers in the Korean gaming industry. I connected this intensive training system to the Korean music industry where young teenagers are scouted by large entertainment agencies, live in dorms and are trained in singing, acting, speech, language- basically everything including change of physical appearances. E-sports are recognised to be alarmingly addictive to the point where the ‘government is subsidising treatment programs for game addiction’ (Groom, 2014). The pressure on elite players was identified in State of Play with Jae Dong becoming stressed with his image of being the best pro-gamer as well as the pressure on amateur players to hopefully reach that level. Online gaming is a bigger issue than I could have imagined. With research I was able to discover various reported deaths relating to online gaming. In 2002, a twenty-four year old man in Korea collapsed and died in an internet café after playing non-stop for eighty six hours. In 2005, another Korean male went into cardiac arrest after playing StarCraft for fifty hours and the list goes on. South Korea’s availability of cheap internet cafes (PC Bangs) that are open 24/7 and high- speed internet allows the online gaming culture to blossom- something that we in Western cultures don’t readily have. We see online gaming as a regular hobby or something you do in your free time, but in Eastern cultures it could be considered as an actual sporting practice. In the documentary, E-sports are compared to physical sports such as football, with all the appropriate stadiums and even fan audiences. ‘State of Play’ opened my eyes to a different culture that I was initially unaware of. I found myself completely interested and curious about the online gaming industry and with further research I was able to reflect on the Korean culture that were questionable and completely different to my own. Analysis of the previous autoethnography allowed for personal framework that differences between gaming, physical sport or even business is nil. In that the social stigma that the West experiences is relative to individuals and societal perceived bias and engagement with the activity. This was further demonstrated in 100 Yen: The Japanese Arcade Experience (2012) noting that gaming was perceived negatively by the American government due to association with children. If we were to breakdown these structures that produce these social activities, and the institutional and societal spheres that impact (such as gaming and physical sport for example), we can assume no distinct difference. Gaming and other activities can be deconstructed to illustrate series of individuals who form a network. These individuals, whether through this sphere or otherwise singly, then partake in activity X in a certain space that has been constructed and embellished to achieve a desired consumption relative to personal assumptions. Once this activity has been consumed to it’s absolute, these individuals and parties then progress to the next social activity. Therefore upon watching State of Play the perspective of how gaming is ‘appropriate’ can be framed through these social constructs designed by individuals and networks within society. Subsequently the reason for the stigma within western society can relate to that lack of investment within western networks and how individuals rationalise their personal assumptions with gaming (Leeds-Hurwitz, W. 2009). 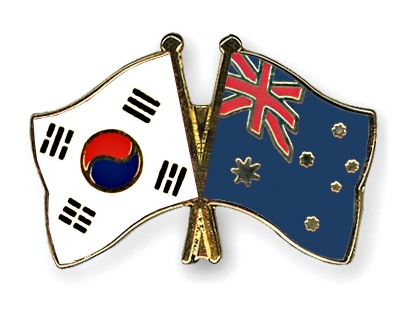 Additionally we can illustrate how commerce perceptions fit into the spectrum, with the Korean adults in State of Play content with the idea that it provides support for the family unity. Whereas the opportunity to sustain oneself in Western gaming, while growing is still limited. State of Play is a documentary following professional gamers as they compete in the Korean eSport industry. My initial response to the film can be read here. In my previous blog post I stated that I was immediately hesitant to watch the film, as I knew from the outset that I wouldn’t enjoy it. Immediately I’ve distanced myself from the film and this can explain why I felt so emotionally disconnected from the characters. Watching the film in a tertiary educational setting caused me to be disinterested before it had even begun. I’ve immediately positioned myself away from the story, the characters and the industry. Because of this, I began to question the legitimacy of the gaming ‘profession’ and the respect they’ve earned. Looking back I can re-examine aspects of the film that may have re-enforced my position as a cultural outsider. The fact that I had to rely on subtitles to understand the entirety of the film should be taken into account. I also found the cityscape to be something I’d never experienced before; the smog and grey city seemed almost unrealistic. In hindsight I am now rethinking why I had a negative attitude towards the film. Whilst viewing the film I felt my traditional understanding of what a successful, professional career ought to look like challenged. Before watching the film I never thought that gaming could be a real profession, or that gaming was a professional industry. However I found the idea of social media influencers to be perfectly conceivable (Adi 2015). Why is this? And why am I only making this comparison now? My daily use of social media, and my understanding of contemporary marketing practices mean that I understand and approve of social media marketing and those that make a living from posting pictures. I now see that my personal experience and interest shapes the way that I have rationalised this. Originally I found that this film challenged my perceptions, but why should it have??? During the film I drew comparisons between professional gaming and professional football. I found that I could appreciate the work and commitment that young footballers make to get where they are, but not that of young gamers. I can now see that my personal experience with social media and football, and the normality of both of these within my own community have shaped my responses. I personally had no experience or interest in gaming, and have never participated in conversations about the industry before – and this ultimately caused my initial dismissal of professional gaming, ‘eSports’. I can now see that I drew parallels between gaming and football in order to comprehend the industry, but even then I thought that footballers had a more legitimate profession. With research, I can see that my original response feeds into contemporary debates. There are hundreds of thousands of articles, webpages and forum debates on whether competitive gaming should be respected, and whether competitive gaming should even be a profession. Whilst watching the film I stereotyped these professional gamers as nerds with little social skills wanting to just play games for a living. I was originally amazed that gaming was a professional industry, but after reading an old forum post from years ago I can see how they earn their respect. I hadn’t been exposed to these opinions or debates before watching the film, and this explains why I held my original views. Everyone has different assumptions about the world we live in, and it is by analysing our responses that we’re able to clearly see this. It is through the process of autoethnography that I am able to see my response to an Asian film as a reflection of my cultural identity. Screenshots from the film; State of Play, 2013. Google search ‘social media influencers, the profession’ results. The last blog post I wrote said that I would attempt to analyse the movie length Japanese animation Akira following in the autoethnographic style of research and study. However, upon talking my previous blog post over with the subject head, I have instead been tasked with analysing the documentary State of Play. Before going any further, I would like to thank Lisa and James Blunsum for their critically thought out comments which could have potentially aided me in writing a completely different version of this blog post. Moving on, the documentary State of Play examines the state of eSports in Korea during 2011 and 2012, focusing on various Korean members of the eSports community such as Lee Jae Dong, Park Yo Han (amateur player), and Kim Joon Hyuk. Marcel Martončik describes eSports as an area of game playing which involves players regularly training to compete and participate in leagues and tournaments. During State of Play, the various eSports community members gave us a peek into the world of competitive gaming and its challenges. A recurring theme that stood out for me that I would like to analyse from this documentary is the loss of innocence experienced by its members which began with their entrance into this industry which was only realised by its members when the 2011 Star Craft match fixing scandal occurred. At the time, those involved in the industry believed that this represented a huge loss of innocence for eSports, and suddenly, sponsors were dropping pro-gamers and their teams, forcing some to return home to their parents. This effectively left pro-gamers out of a job, with some having no future prospects as they did not complete their schooling so they could become full time pro-gamers at young ages. While still a fulltime gamer, Lee Jae Dong revealed he no longer played for fun but for work, and when he was dropped from his pro-gaming team, he had time to think about his past and future. He realised that he had regrets about the kind of school life he should have experienced at that age (like having a girlfriend), and regrets that he did not finish his schooling, as he found himself worried about his future. When looking into the area of loss of innocence in the realms of eSports, I found an article by Yuri Seo that looks into ‘serious leisure,’ which essentially means the pursuit of a hobbyist activity that participants strive to create a career in for themselves to express its special skillset, knowledge, and experience. I believe that it is this ‘serious leisure’ that could have possibly led to the loss of innocence in some pro-gamers, as they pour all of their time and energy into cultivating their skills to survive in the industry while forgoing experiences only achieved during their youth. Seo makes some other observations that can apply here such as when he looks into prosumers becoming constrained by the structural elements of social systems, limiting the prosumers agency. The pro-gamers, in this sense, produce an identity for themselves in the eSports community which they present in organised tournaments where their live matches are consumed by avid spectators. However, it is this drive for prosumer pro-gamers to acquire and sustain an identity that may drive them to deprive themselves of experiences because they are devoting more time towards building this identity. “The call to adventure:” the process in which a casual gamer becomes exposed to the world of competitive game playing. “The road of trials:” the process in which casual gamers teach themselves skills and knowledge earned through perseverance in becoming more skilful in a computer game via immersion in eSports ethos and practices. “The master of two worlds:” the result in which the casual gamer has now become a pro-gamer with the ability to influence the eSports world and to return to a world before eSports. The Korean pro-gamers presented in State of Play went through a journey that could be described as the “hero’s journey,” but some were not able to return to a world before eSports that “the master of two worlds” stage allows. They became masters of one through uninterrupted dedication to their craft, unlike the participants of Seo’s study who also worked or studied on top of training for eSports, giving them opportunities should they fail in/or fall out of the eSports world. A “master of two worlds” would include second-year Australian university and Call of Duty (COD) specialist Denholm Taylor, a member of the team Plantronics and a part time eSports gamer. While he wants to be a full-time pro-gamer, Taylor at least has an education that he can fall back on should his career in eSports fail him, unlike some Korean pro-gamers who never complete their education or further education because they devote themselves to a career in eSports. While eSports is not always participated in solely for financial gain, pro-gamers must be, in some part, after the money. 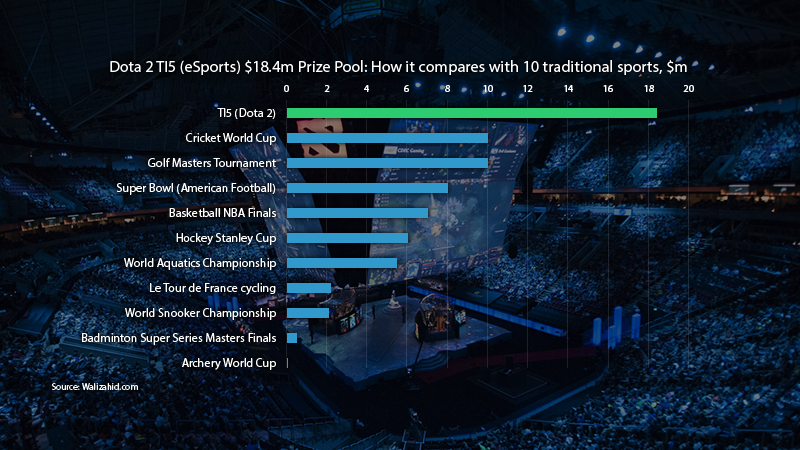 The eSports industry pays well if you can hold your own against many competitive pro-gamers. This may also be a motivation for pro-gamers in solely focusing on a career in gaming, as they know that if they can perform well in competitions and tournaments than they can live off of their video game skills. All in all, in this blog post I have attempted to analyse the loss of innocence expressed throughout State of Play. Any judgments made here are not conclusive and require further study to establish academic accuracy. Just for interest’s sake, here is a list of “15 Of The Highest-Paid Professional Video Gamers In The World,” and this website lists a large number of pro-gamers and various information about them.